We’re up to — aside from the Army-Navy game a week from Saturday — the final week of the college football regular season. That means 10 conference championship games, plus a few other makeup games between teams that lost a game due to weather earlier in the season. Seven teams remain with a chance at the College Football Playoff. One of those teams — Notre Dame — has essentially locked up a berth. Who will join the Fighting Irish? And, more importantly, if your team has a chance, what do you root for? 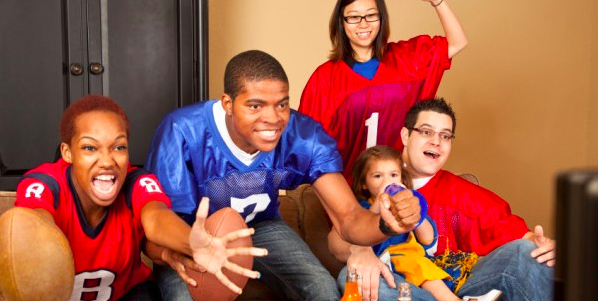 Rooting interests lays it all out for you. And, if Oklahoma wins convincingly and Alabama loses, Tide fans should hope for Clemson to lose later that night, and for Ohio State to not win by too much. 12-1 Alabama is probably ahead of Ohio State regardless of what happens, but a 59-0 Buckeye victory will cause some concern Sunday morning. One warning for Clemson, though: UCF beat Pitt by 31 points earlier in the year. You don’t want to lose to Pitt, especially if UCF wins. The committee will almost certainly take Clemson over UCF anyway, but the Tigers would know that UCF will claim a national championship if Clemson wins the CFP. And, unlike last year, UCF might actually get significant support in doing so. Sit back, enjoy the games, and scout the next likely opponent. And unless Alabama and Clemson both lose, find a way to book a ticket to Arlington. Georgia is in with a win, and possibly not out with a loss. Bulldogs fans should root for Oklahoma to lose. If the Sooners lose and Georgia can keep it close, the Bulldogs probably stay in the No. 4 if Ohio State also loses at night. UCF probably doesn’t jump Georgia if the SEC Championship Game is close, but rooting for UCF to lose and/or to look offensively inept without Mackenzie Milton would make things a lot safer. The Sooners have the luxury of being the first contender to play. They can play their game without worrying about what others have done. If they win, they should feel pretty safe getting in as long as Georgia doesn’t beat Alabama. A blowout victory probably guarantees a Playoff spot regardless, especially if the defense looks somewhat competent. Oklahoma can also get in with a loss, too. It would require Georgia and Ohio State both losing (Georgia in blowout fashion), and probably UCF losing as well. Ohio State, on the other hand, has the luxury of playing last. The Buckeyes will know exactly what they need. A blowout win by Oklahoma means the Buckeyes are done. Losses by Oklahoma and Georgia mean that Ohio State just needs to win, no matter how ugly. (Well, maybe winning on a dropped two-point conversion in OT would be a problem.) And if Oklahoma wins, but just barely, the Buckeyes will know that they have a slight chance, if they can absolutely blow the doors off Northwestern. First and foremost, UCF needs to run up the score. Prove that the offense hasn’t lost a beat without Mackenzie Milton. If UCF can’t do that, then the Knights won’t even be considered. Of course, UCF should also hope that the committee has no other choice. If Oklahoma loses, Ohio State loses, and Georgia loses big, there won’t be any other option than a 12-0 UCF team. It’s a tough ask, but the path is definitely in play for the Knights.